I can do magic — Can you? “sudo clean your frakkin’ room!” to my offspring! 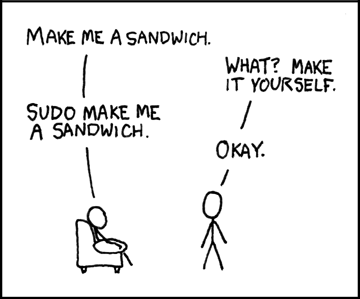 “sudo” is as close to a magic spell as it gets. 5 comments to I can do magic — Can you? I can just see me trying that on my wife. That would be some dangerous territory for sure. Hehehe… Let me try that one.